Blue Hawaii have released a new mix to celebrate the end of the year that features new edits of some of their old songs, plus an unreleased track called “All Of My Heart” and a remix of Kyle Hall’s “Ghosten.” It’s available as a continuous mix or individual tracks, all of which are available to download in this .zip. 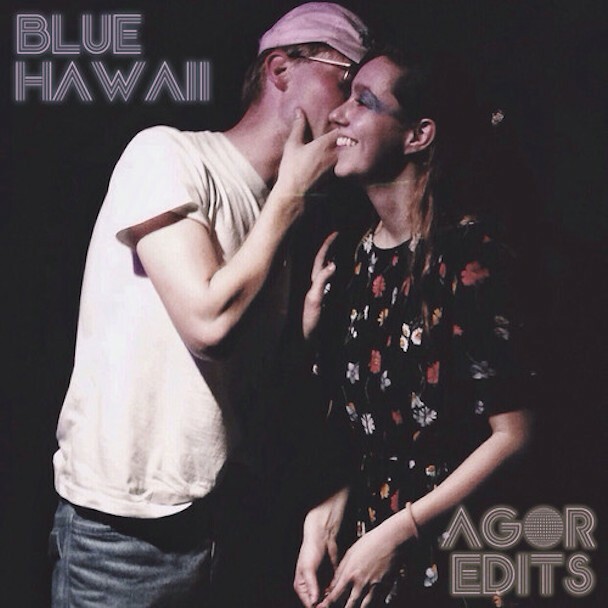 In a message from Alex “Agor” Cowan — the production side of the duo — he reveals that other half Raphaelle Standell will be focusing on Braids next year, who he says “have just completed a beautiful, deeply emotional, new record.” He’ll be producing more music and making a stop at SXSW under the name DJ Blue Hawaii. Listen to the mix and read more words from Cowan below. A YEAR END PRESENT FOR EVERYONE! 2014 led Blue Hawaii around the world. Over multiple visits to Russia, China/SE Asia, Mexico, Japan, Europe and the US, it felt like everything was coming up opposite Untogether, the album we made. Instead of being secluded in a Montreal apartment writing a fragmented break-up record, we were travelling vast distances, rediscovering each other as close friends and tying together radically different cultures. Our music came to reflect that. Live, everything sounded more together and higher energy than the record in an effort to find common ground with all those different audiences.